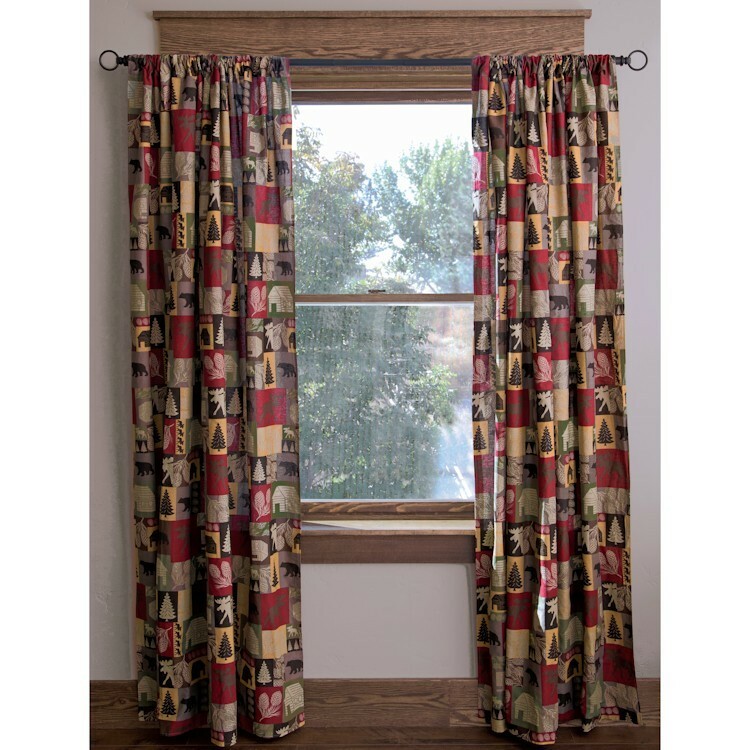 Our Cabin in the Woods rod pocket drapes are sure to liven up your room. Warm tones of red, olive green, gold, brown, black and ivory, are a beautiful backdrop for the patches of bear, moose, cabins and trees. 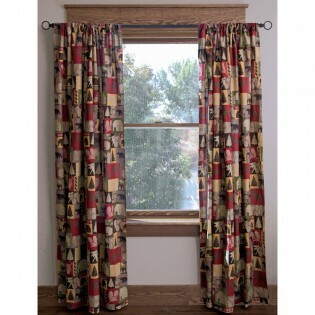 (2) Panels 54" x 84"